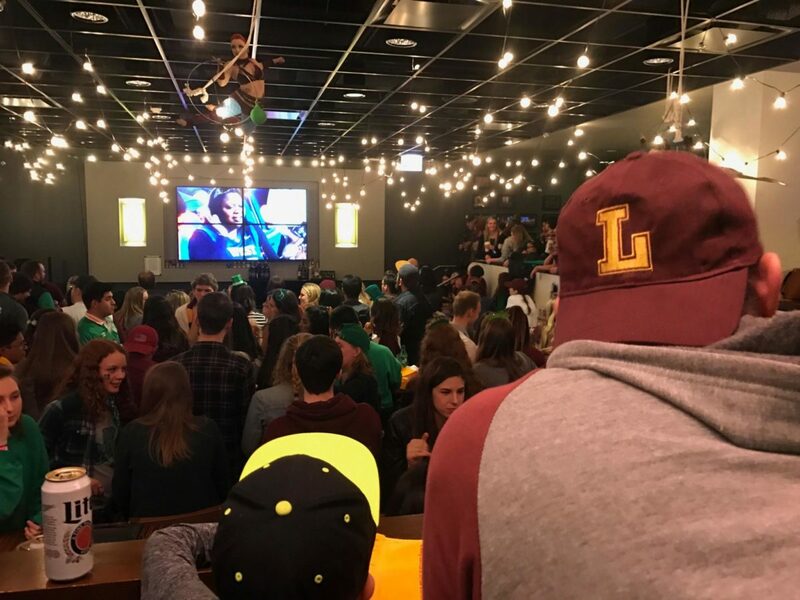 Loyola’s students — several still in their green gear for St. Patrick’s Day — have filled watch sites on and near campus in support of the men’s basketball team’s second round of the NCAA Tournament Saturday evening. In Ireland’s Pub 10 in the Damen Student Center, named after famed 1963 Rambler coach George Ireland, students packed in early to cheer on the No. 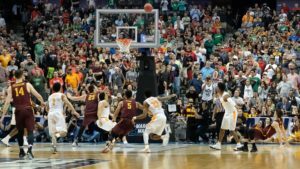 11 seed Ramblers as they played against the No. 3 seed Tennessee Volunteers. Students piled in on both floors of Damen, and fans could be found crowded in at the nearby Bulldog Ale House. Harsh Parikh, a 22-year-old biology and psychology double major, said at halftime he thinks the Ramblers still have every chance to finish with a win. The Ramblers lead 29-25 at the half.